It snowed finally! And it sure snowed a lot. I did not expect to be tree skiing in November at all, much less having bottomless powder through most of it. This past week it snowed 36 inches at the Main Lodge area (9000'), 60 inches at the summit (11000'), and somewhere around 20-30 inches throughout the rest of the mountain (down to about 7600'). Unfortunately I didn’t get to check out the top because it was still snowing all day Friday and even more so on Saturday. With that came frigid temperatures and strong winds so lift holds were a plenty. But boy oh boy was the snow that I found amazing! Pretty much everything on the mountain was filled in and only a few errant rocks could be found here or there. Some of the faces were very wind effected but everywhere was DEEP. 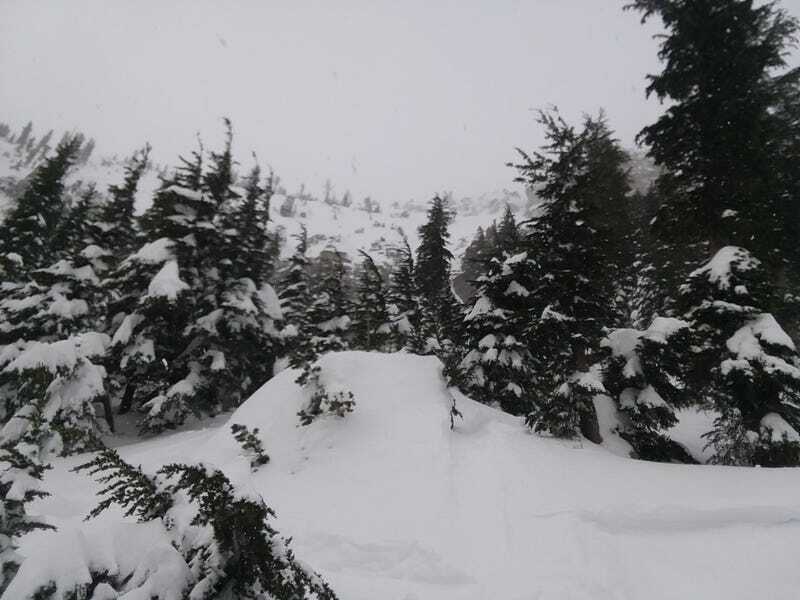 Many of the easier to access, popular areas were filled with chopped up snow that was difficult to ride. But Saturday I was finally able to find untracked fresh powder with no wind effect and minimal heaviness. It was perfect for just leaning back and swimming through the powder. Knee deep untracked was plenty for 5 or 6 runs to complete my day. I was so happy for early ups (lifts spin an hour early for ikon pass holders and free breakfast) since that meant I got to lap a few runs before the storm rolled in. The only downside of Saturday was that I learned that I need to get some warmer layers and a more waterproof set of ski pants. These were fine on Friday since it wasn’t snowing as hard and I was not buried in snow too much. But all day Saturday I was ending up tossed about in powder and being snowed on so it soaked through by the end of the day. I think my camelback was leaking as well but either way, I think I need more water resistance for storm days. Lovely pants for sunny days but I was cold and wet riding the lifts most of the day. My skiis though did great. Both sets are not ideal for powder conditions but I didn’t have too much trouble in any of the lighter stuff. Heavy Slop was an issue, but that is not really powder anyways. I need to probably choose a higher DIN setting since that was the only ski problem. Quite a few times I face planted due to a ski popping off in a surprise waste deep pile of snow. Overall an AMAZING trip and I am pumped for the season if the snow keeps falling like this. I’m hoping Utah, Wyoming, and Montana get dumped on as well, just to keep my season amazing all winter!